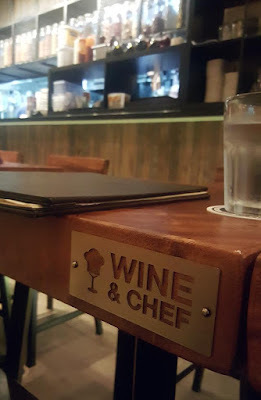 This was the third visit to Wine & Chef but realized that I have not posted on it before. Hmm. Well, there was that one time when all photos were lost. 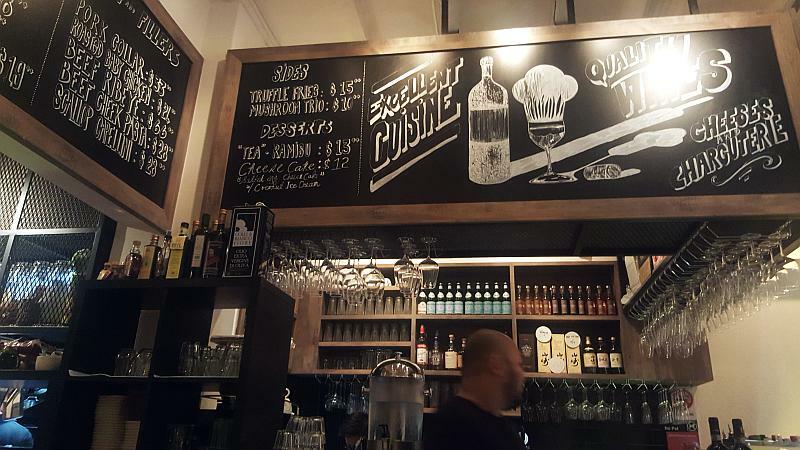 Nevertheless, this would be my go-to place for reasonably priced wine by the glass and tasty food with a local twist. 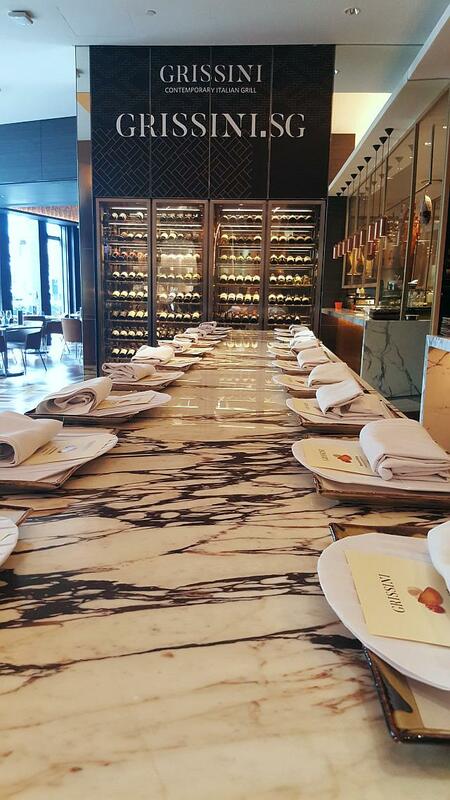 First time there, the foie gras and beef cheeks were impressive. Until the price had gone up by quite a bit. Previous menu had curry pork knuckles and hokkien mee which all of us liked. 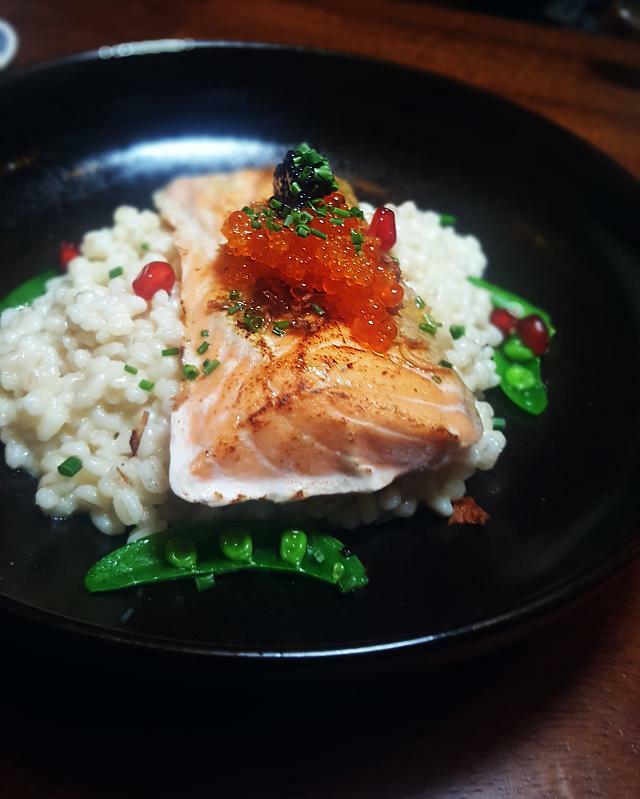 Most recent visit was in Oct 2018, and ordered the recommended dish of Salmon Risotto. Also ordered the 'Bak Chor Mee' for a taste test. The rest were appetisers such as the Chicken Little, foie gras and a Charchuterie platter. Was expecting a somewhat har-jeong gai flavoured (prawn paste chicken) for the Chicken Little but the flavour was too subtle. 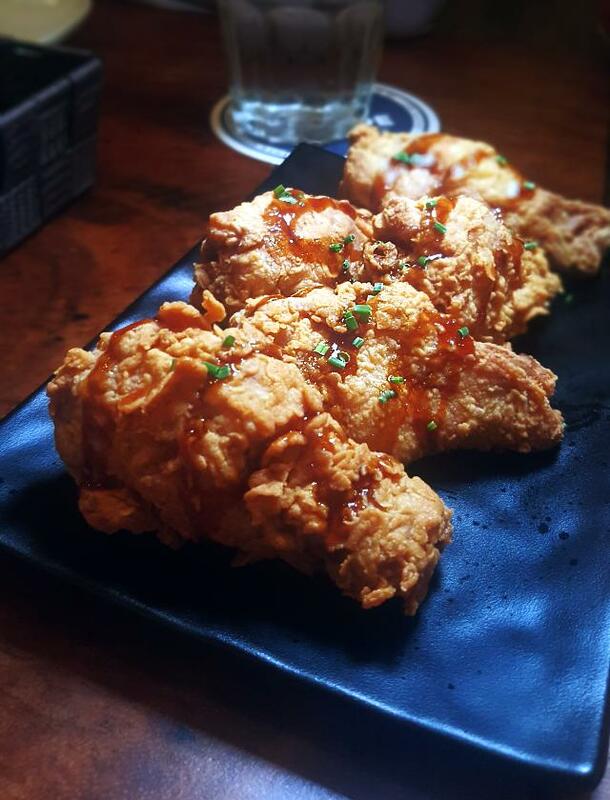 Was a good fried chicken and the soy glazed tasted a tad marmite-ish. 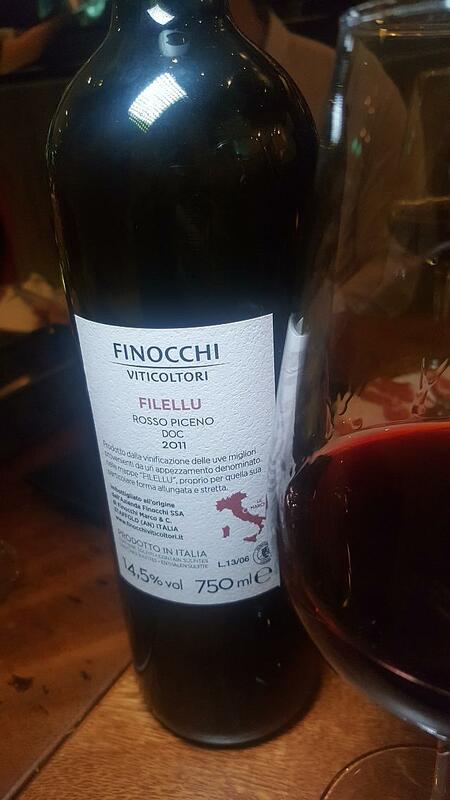 The red wine was of the sangiovese varietal. Ruby red hues, ripe and tasted of cherries and spices. Soft tannin and paired well with stronger flavours. The hams were just alright but the cheeses we enjoyed quite a bit. Loved the truffle gouda and the aged comte. So good. 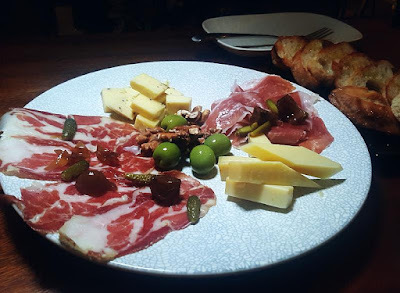 This platter came with some olives (unpitted), pickled onions and tiny gherkins. Served with a side of crispy toast. 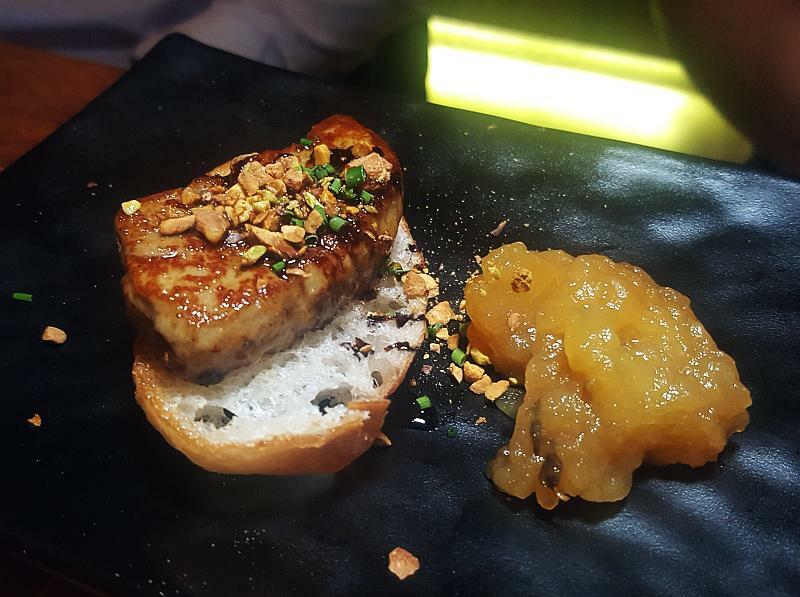 Foie gras price had gone up. What used to be $14 per piece, is now $16. Did we order this for old times sake? We were rather hungry and the appetisers did not do much to alleviate that. So happy when the salmon risotto and bak chor mee were served. The salmon risotto dish was rather pretty. The mascarpone barley risotto was so good. Loved the poppings from the ikura and the scattered pomegranate. Best eaten when it is hot! Next carb dish was the "Bak Chor Mee", an essentially linguine with minced spicy chicken, shitake mushrooms, stir-fried zucchini ribbons, and topped with crispy lard bits. 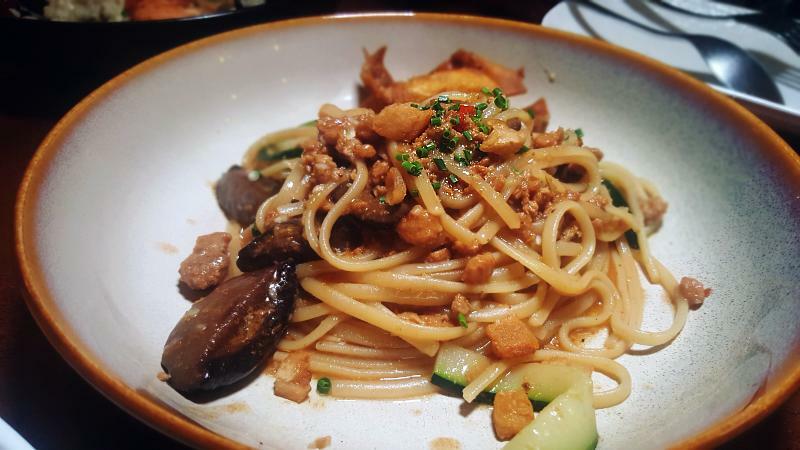 Similar to the previous "Hokkien Mee" where spaghetti was used. The flavour was strong for this one and very tasty. Definitely needed some sips of wine. 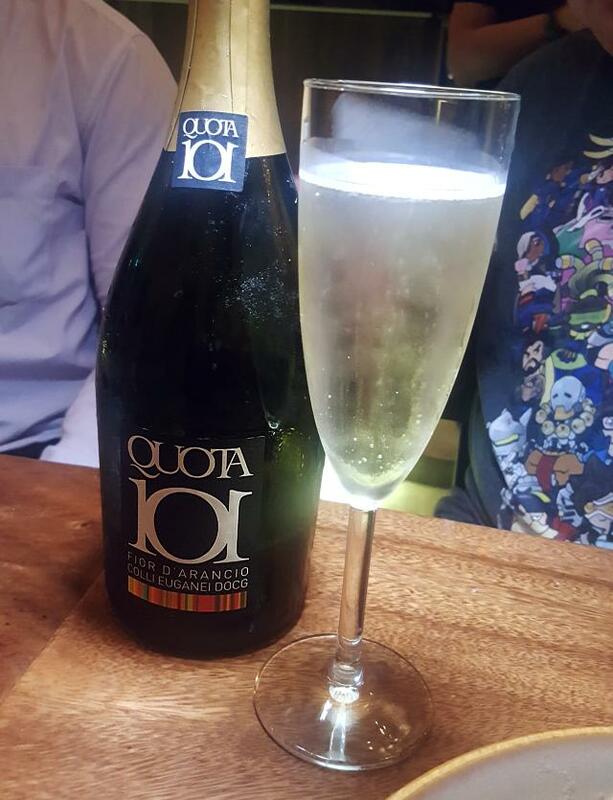 To end, we have our Happy Sweet but this time round, was recommended a sparkling white version. This was similar to Moscato. Lovely ending to our meal. Nowadays, searching for an online menu or to read about others' experiences at various eating places, are pretty common. I do that too. For readers who have been supportive of this blog, thank you and hope you had enjoyed it, as much as I do. Happy eating! This work by purple is licensed under a Creative Commons Attribution-NonCommercial-NoDerivs 3.0 Unported License. All opinions/reviews expressed in this blog is purely from the author's personal perspective, true at the point of experience. Any feedback, please email to purplerain@gmail.com. Looking for lovely plush/figurines? You might want to consider these: https://sg.carousell.com/purplecatch/.